La Voz reports that the anti-noise bylaw was finally not submitted to final voting at the Mojacar council meeting yesterday. This is the bylaw I referenced here last week (Why is nobody contesting the Mojacar music ban?). Instead, the Mayor ordered that a new replacement bylaw proposal be given to all politcal parties for studying during one week before a new vote is to be called on it. I have yet to find the text of the new bylaw – Jessica Simpson says in a comment here that she will be keeping us all up to date on the Mojacar se mueve facebook page. The withdrawn bylaw was the one that gave the Local Police unprecedented powers to investigate and fine local businesses for noise, or the potential to make noise, without having to call in external auditors. It also prohibited live music with electronic amplifiers or loud musical installations. The bylaw would also have prohibited bars from having a proportion of tables outside greater than 50% of the total, which in practice would have caused smaller bars with big terraces to have to remove most of their outside tables. Manuel Zamora from the PSOE said this would have been the nail in the coffin for many of the smaller bars in the town of Mojacar. I have an analysis of the Andalucian noise law here: An examination of the “noise law” and my attempt to explain the new law. Jessica Simpson from Mojacar Positiva se Mueve had questioned the legality of this bylaw, and said that it had appeared to be illegal in its sweeping powers. 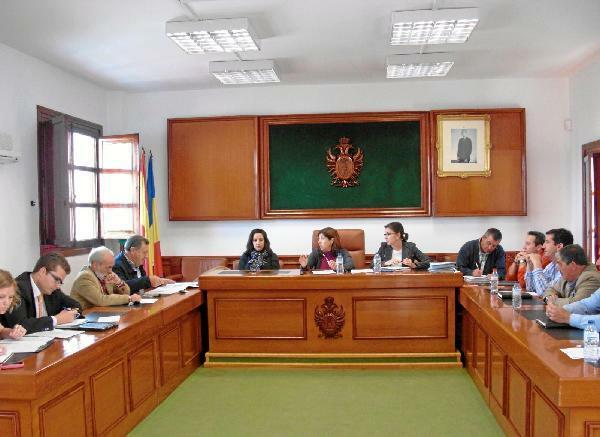 The opposition parties in Mojacar have united in their call to the Mayor to drop this bylaw in its entirety and draw up a new bylaw in an all party consensus meeting. This entry was posted in Blog and tagged bylaw, mojacar, noise, positiva, se mueve by David. Bookmark the permalink. An ordinance regulating annoying noise levels is needed in Mojacar. Anti social behaviour is regulated in The U.K and elsewhere as are maximum occupancy levels in bars and restaurants . How much longer must the citizenry at large suffer because of inefficient urban planning in previous administrations ? Ah yes, woe betide a musician trying to earn an honest euro. The Mayor of Mojacar seems hell-bent on killing off this wonderful part of the world. She and the rest of the ‘Gang of Four’ have very short memories indeed. It was a much more forward-thinking Mayor that turned the virtually abandoned ruin of Mojacar into a living, breathing town again by encouraging artists and musicians to move to the area many years ago. I have no problem regulating the incessant discos and bottellon parties, but the live music scene on the beach bars is what attracted me as a musician to come and live here in the first place. Kill this, you kill it’s soul. The fat cat residents who made their money off tourism and British bar owners and ex-pat residents would do well to remember that it’s not so long ago around here that the only viable source of income was flogging asparagus at the side of the road. In an economic crisis, this Mayor is burying her head in the sand (presumably because pretty soon she’ll be the only one allowed on the beach….